Join us at Camp Harkness in Waterford on Saturday August 25th from noon - 5pm for an end of the summer celebration. 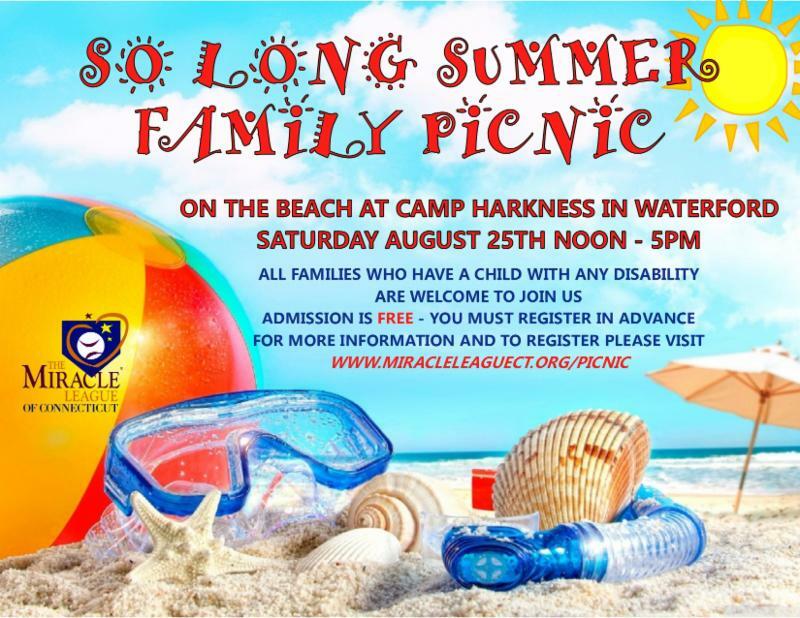 This FREE event is open to all Miracle League families and any family who has a child with any type of disability who would like to learn more about the Miracle League of CT. We will provide the burgers, hot dogs and veggie burgers, chips, snacks and beverages. Lunch will be served from 1-4pm. There is lots to do at this beautiful ocean side site. You must register even though this is a free event so that we can have an accurate count for planning purposes. 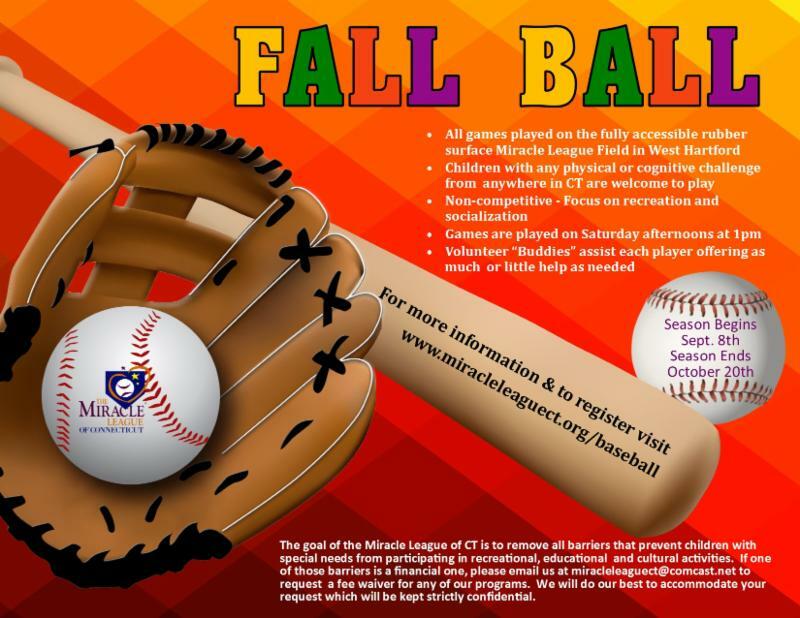 Registration is now open for the 2018 Miracle League of CT Fall Ball season. Fall Ball will run from Sept. 8th - Oct. 20th. Games will be at 1pm on Saturday afternoons. Fall Ball games are a bit looser that our spring games. We pick new teams each week with honorary captains. We hope that you will come out to the ball field and join us this fall. The program is open to any child with a disability between the ages of 4 and 21. 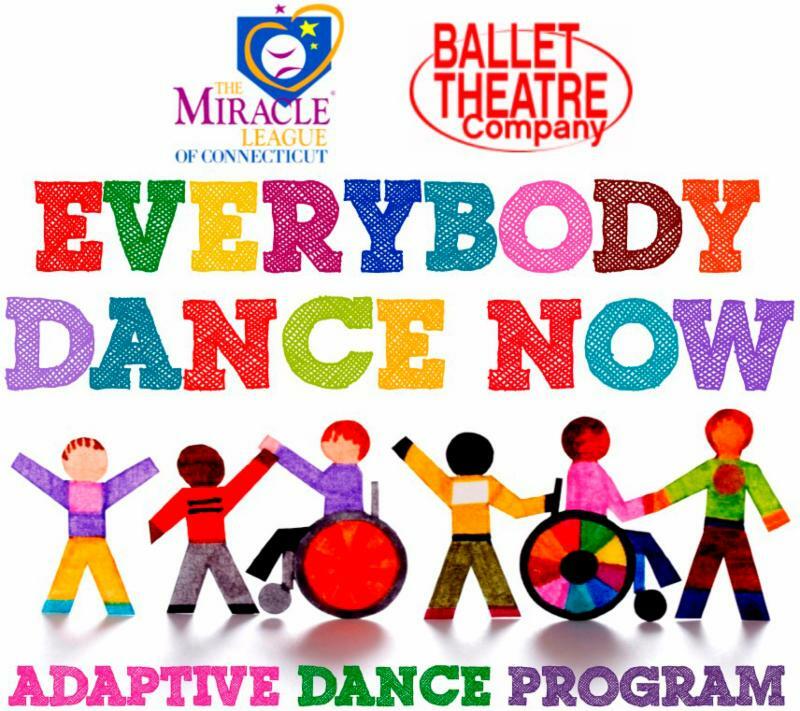 We are so excited to announce a brand new Miracle League of CT program - EVERYBODY DANCE NOW. The adaptive dance program is open to boys and girls ages 4-21. We're proud to be partnering with the Ballet Theatre Company of West Hartford for this innovative new program. The 8 week program will use mixed dance methods (jazz, modern, expressive) to help each child express themselves through the art of dance. Professional dance instructors along with volunteers will be on hand to help each child maximize their abilities and to have fun! Classes will be held on Sunday mornings at 11am for both the Junior Troupe (ages 4-11) and the Senior Troupe (ages 12-21) beginning on Sunday September 30th and will end in our recital on Sunday November 18th. All classes and the recital will take place at Ballet Theatre Company Studio located at 20 Jefferson Ave. in West Hartford (right near Home Depot on New Park Ave). The registration fee includes all 8 session and costumes for the recital. 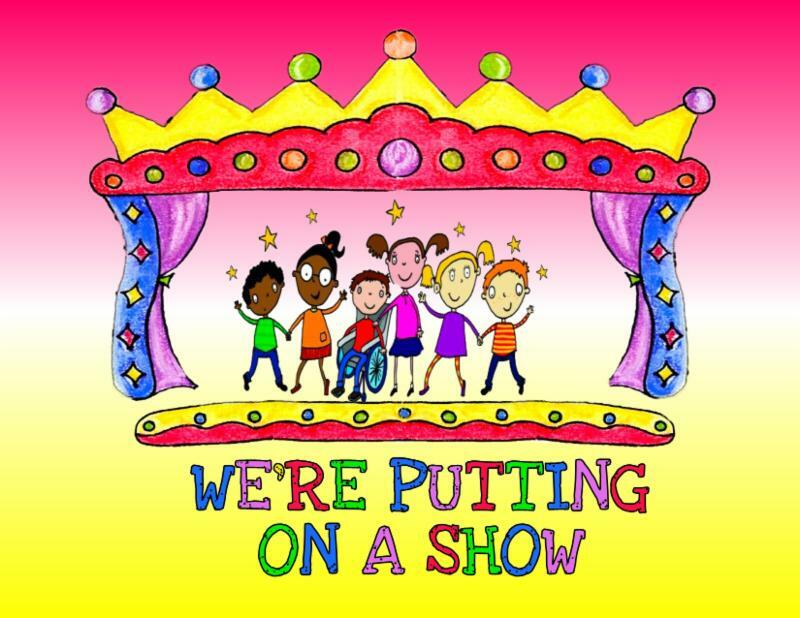 It's not too late to register for "We're Putting on a Show" - our final Summer REC Clinic at Chapter 126 in Bristol' The 2 week program begins on Monday August 6th and runs through Friday August 17th with a live performance of the show we work on to be held on Saturday August 18th at Playhouse on Park in West Hartford. The program will be held at Chapter 126 at 47 Upson St. in Bristol for the first 10 days. On Thursday the 16th and Friday the 17th we will transport the actors to Playhouse on Park in West Hartford for our final rehearsals and then back to Bristol for pick up. All children ages 5-21 are welcome to join us.